Long before a thoroughbred strides over the lush expanses of Flemington or pops up in the pages of The Race Guide, years of skill, hard work and patience have gone into each galloper. In a journey that begins long before the birth of a foal, a racehorse will cross paths with a variety of different horsemen and women to try and get the absolute best out of these delicate animals. One of the most crucial, and often overlooked, parts of developing a champion is the highly skilled task of finding the perfect stallion match for a mare. People can devote a lifetime in the study of pedigrees and bloodline crosses in the pursuit of breeding excellence. Whilst modern day computer matching programs such as eNicks can assist the less informed, the art of matching bloodlines is still an important skill, with some talented experts having a knowledge of breeding that can extend back 5 and 6 generations. Factors such as the synergy of size, strength or speed in both the mare and stallion when trying to breed the next Sunline, Redoute's Choice or Black Caviar. The term of pregnancy for a mare is 11 months and after a 15 and 45 day scan the mare will be put out to pasture to let nature take its course. Prior to an expected foaling date, a broodmare will be sent to a specialist part of the farm where she will be monitored around the clock by a dedicated team of foaling attendants. With night time births the norm, attendants spend sleepless nights throughout the foaling season (September-November) ensuring as best as they can, a trouble free birth. The first six months or so of a foal’s life will be spent with its mother. 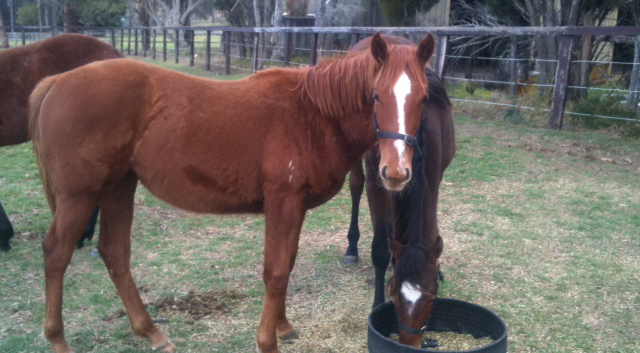 They often share a paddock with 2 or 3 other mares and foals until it is time to be weaned. Feeding through this phase of rapid growth and development is vital and specific feed mixes will be formulated, as needed, for each and every foal. It should also be mentioned that the use of surrogate a mother is common if for any reason a broodmare is unable to fulfil her motherly duties or in the rare case she has rejected her foal. The weaning timeline is dependent on several factors including the health and physical maturity of the foal. Once weaned the young horse will be allowed to roam freely and play with other weanlings in a paddock of their own. After up to twelve months of constant monitoring by spelling farm staff, vets and farriers the owners of a yearling may be looking to prepare their horse for sale. Again a specialist team are required for a 6 week period to prepare the horse for sale by implementing a tailor made feed and exercise program. A good sales preparation should see a yearling blossom, putting on weight and muscle, and a glowing coat should be coming through. With the major sales in January and April, physical development can often determine which sales they are entered in. 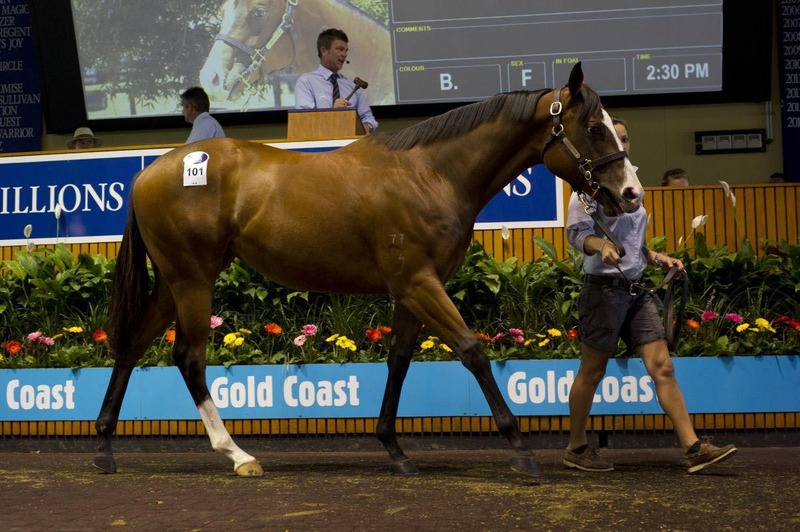 Provided of course the yearling meets the strict criteria of the big auction houses! Pedigrees and x-rays are studied closely and sales representatives will inspect each horse up to 3 times making sure they are of the highest standard. With a career on the track in sight a horse must begin its education for all things racing. A horse breaker will spend up to or more than 2 months with a horse, using a lifetime of knowledge and un-buyable instinct’s, that will give a horse the mouth and temperament that a jockey will trust in every time they hop on board. Pre training, aimed at strengthening a still fragile frame, and educational weeks in the stables both play a part in readying a horse both physically and mentally for stable life, the training regime and eventually raceday. 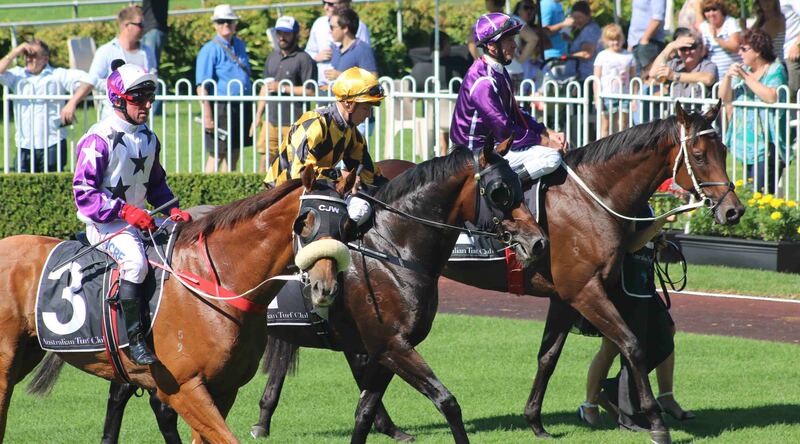 Teaching horses to gallop with one and other, get around corners, settle, become familiar with the barrier stalls and the fanfare of raceday are all tasks which keep countless staff busy for countless hours. When the sun sets on what every breeder and owner hopes has been a stellar race track career many horses find homes with event riders or youngsters at pony club. The Australian thoroughbred continues to leave its mark worldwide and is the choice animal for many of the world’s best riders. Clerk of the course duties may await a placid grey and even a life in the line of duty with the mounted police for some. Of course the champions are often afforded a 5-star retirement, such as that afforded by 'Living Legends' near Melbourne, where you can go and visit many past Group 1 heroes.